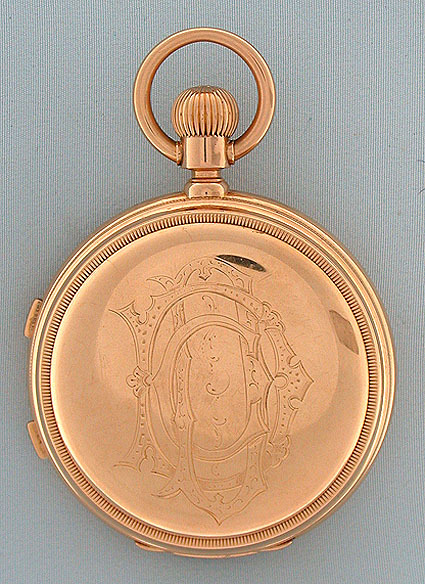 Very fine and rare large and heavy Swiss 18K gold two train split second chronograph with jumping quarter seconds and return to zero by Leopold Huguenin, Locle, circa 1880. 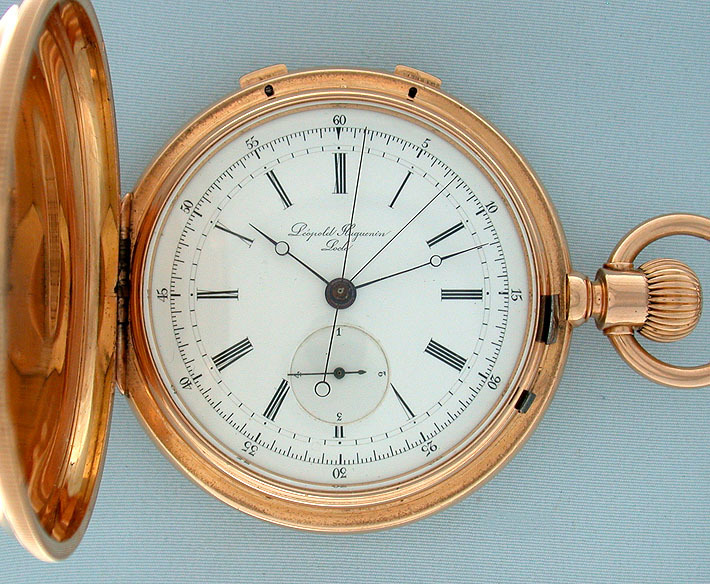 White enamel dial with blued steel hands. 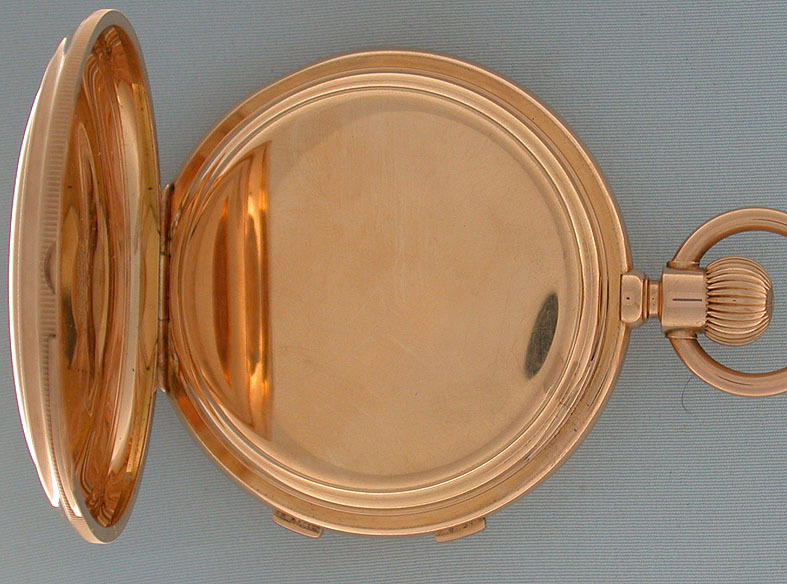 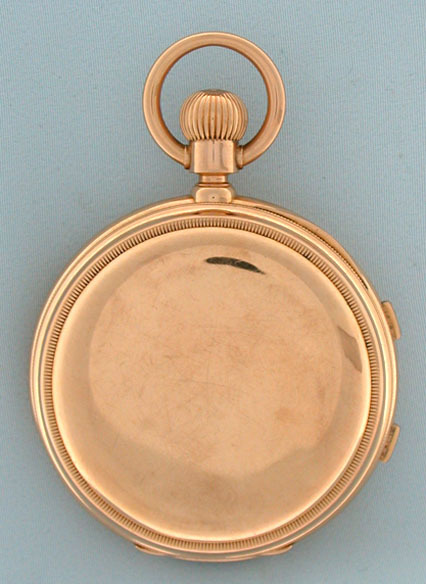 Heavy case (light pocket wear) with gold and glazed dust cover and chronograph buttons in the band. 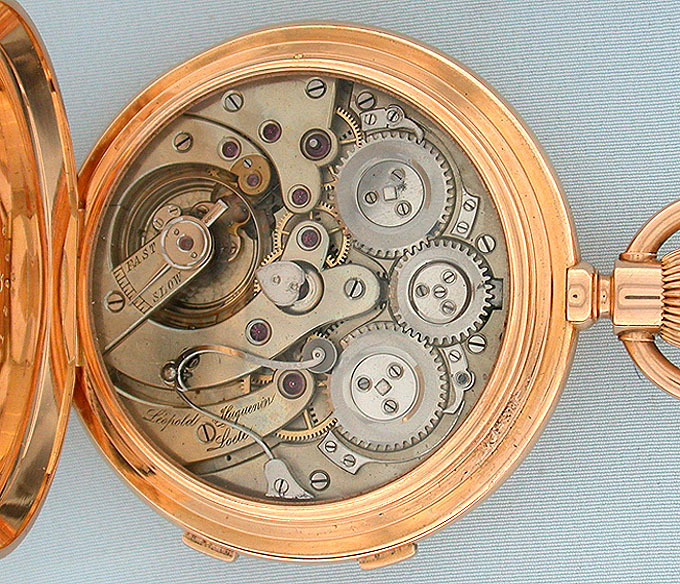 First quality 30 jewel nickel movement.